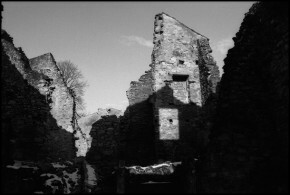 Oradour-sur-Glane, France, February 2013. 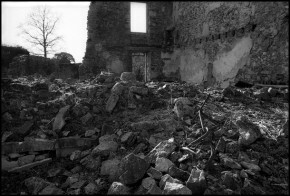 After the massacre of most of the townspeople of Oradour-sur-Glane, the village was set on fire, reducing buildings to hollow shells and rubble. 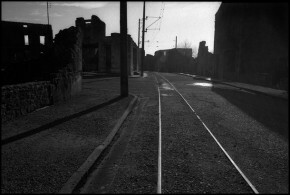 Oradour-sur-Glane, France, February 2013. 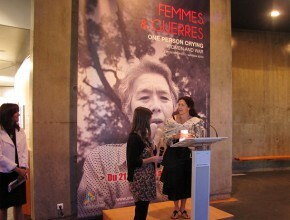 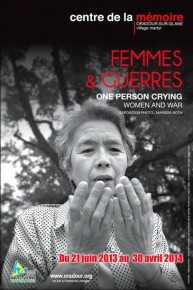 On June 10, 1944, 452 women and children perished in the Oradour Church during the massacre and fire. 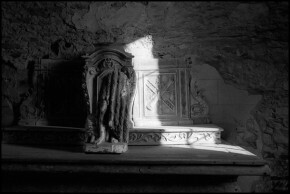 Other than the stone floor and walls, very few artifacts from inside of the church survived.